GRABILL, Ind. 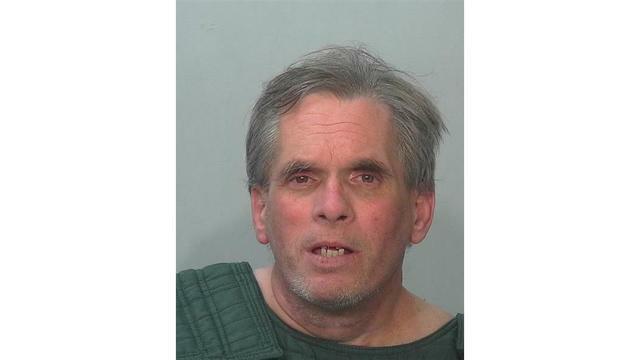 (WANE) - Neighbors and co-workers are sharing what they know about John Miller, the man accused of killing 8-year-old April Tinsley 30 years ago. They all described him as a loner. Whether they knew him decades ago or in recent years, the same picture is painted of him. Neighbors at the Grabill Trailer Home Park describe the 59-year-old man as someone who kept to himself and never said hi to anyone. They said he always appeared angry. "He'd always had a mean look on his face," said Dawn Muller. "He would use swear words a lot when he would get mad." Another neighbor remembers seeing him throw his lawnmower. There was only one thing they'd see Miller do away from of his trailer. "He'd walk up and down the street to the softball diamond and sit and watch the kids play," Muller explained. The softball diamond is only a few hundred feet from his home. In the 1970's, 80's, and 90's, Miller worked for a fiber glass factory in Grabill called Eagle-Picher Plastics, which is now R3 Composites. 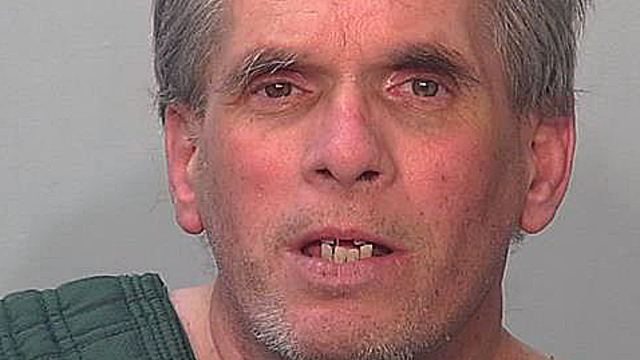 His co-workers said he didn't have many friends, had poor hygiene, and had a temper. He got fired from the factory after punching and breaking the time clock. 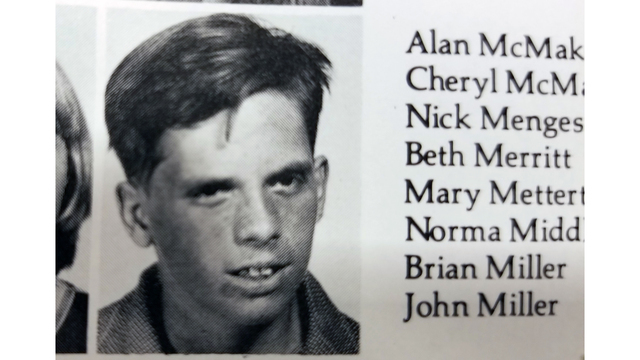 John Miller is shown in the 1974 DeKalb High School yearbook. One of Miller's factory coworkers from 1979 to 1990 said she "can't wrap her head around" the fact that Miller's behavior never changed - even after he supposedly raped and killed young Tinsley in 1988. The only other thing she remembered about Miller during those years is that he had a cat. In recent years, Miller worked for the Walmart in Kendallville, where he was known as "John John." He worked the overnight shift in the electronics department. "We didn't know anything about him," said an anonymous co-worker. "I sure didn't." But they knew what they saw: the hunched walk, the speech impediment, the anger. "I've heard him beating on equipment because it wasn't working right and when somebody needed help, he would complain about them needing help," he continued. He and other co-workers are in disbelief over the news of Miller's arrest. "It's just very shocking," he said. "I kind of have that sick feeling. There's butterflies in my stomach. I don't know what to think. I would have never known. We're still in shock that this happened and that none of us knew about it." It's also been discovered that Miller has a brother.